So it’s finally feeling like spring around here, which means I am eventually going to have to bare my legs and feet for the world to see.. And I knew I needed something serious to combat my dry winter body. 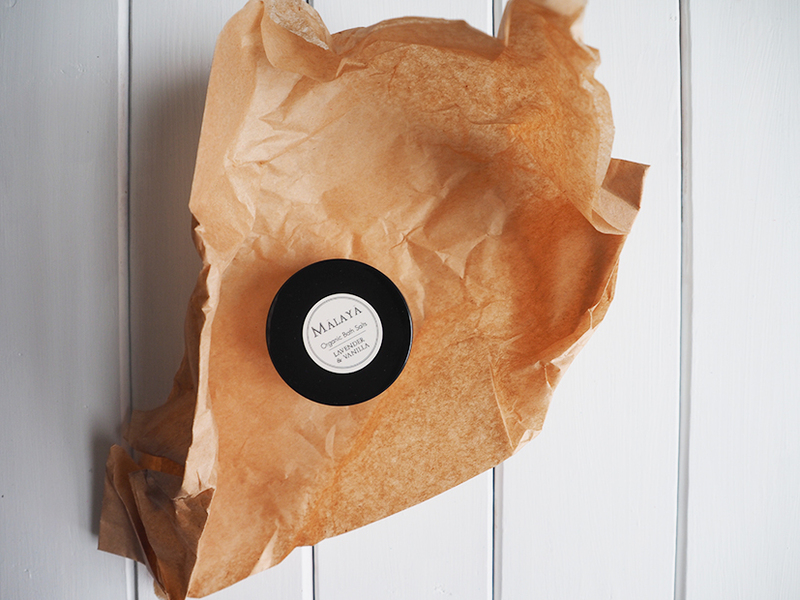 Needless to say I was sooo excited when Katya from Malaya organics (insta here) reached out to me. 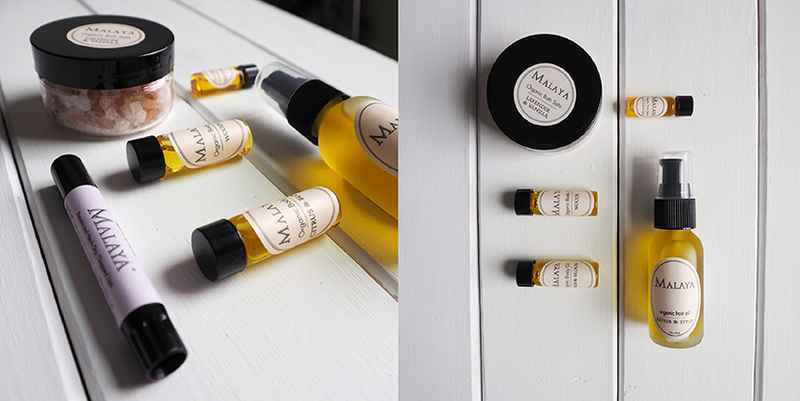 I had never used organic oils before on my skin, but I might just be a convert. They go on smooth, but immediately soak into the skin and leave it feeling so supple. My favorites had to be the lavender chapstick and the hair oil. 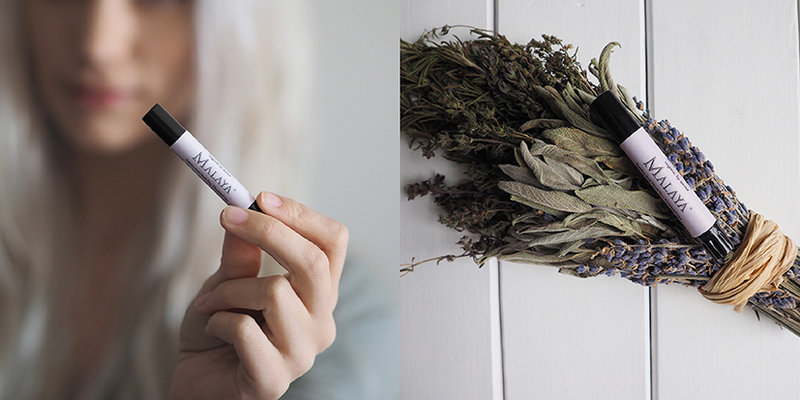 I am a sucker for chapstick and lavender is one of those scents that I could smell all day and never get sick of, so combine the two and it feels like a breath of fresh air every time I put it on. And of course I loved the hair oil. If you haven’t noticed, a few weeks ago I went even blonder! I bleached my hair for the first time and while my hair is pretty resilient, I have been seeing some dryness and breakage on the ends. 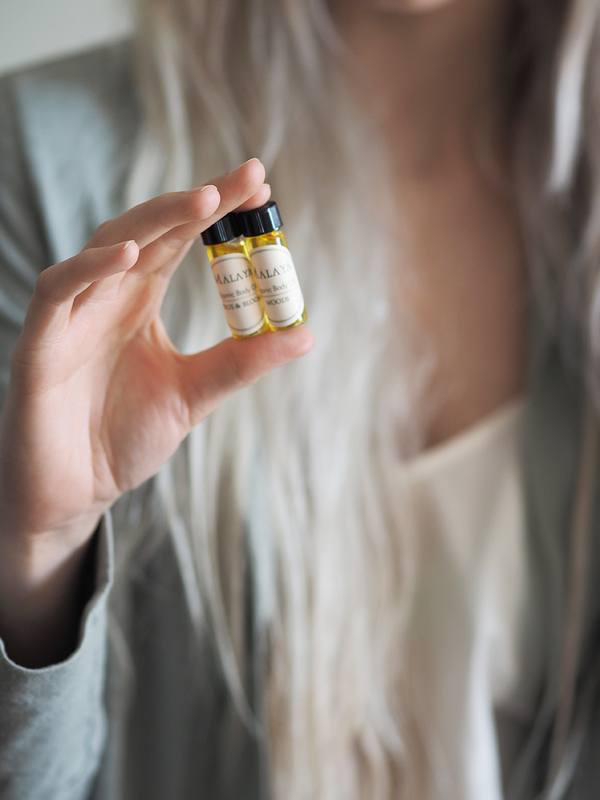 This hair oil has helped to keep my ends feeling less brittle and you can’t beat the smell. 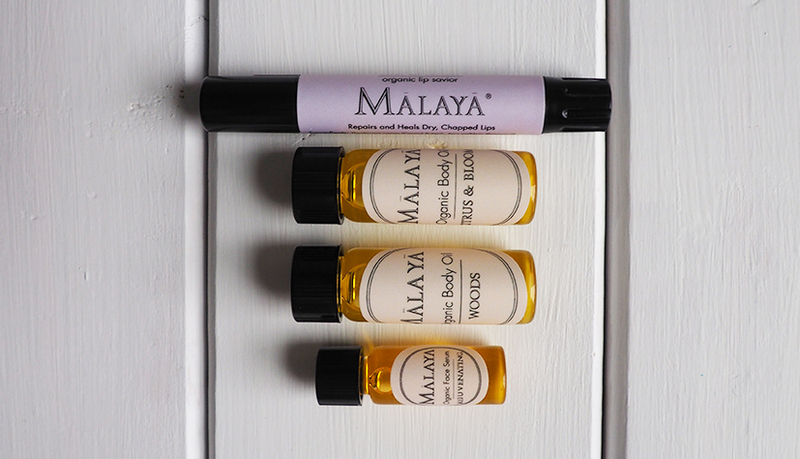 Each of the Malaya products uses natural essences to create a subtle aroma-therapy feeling! 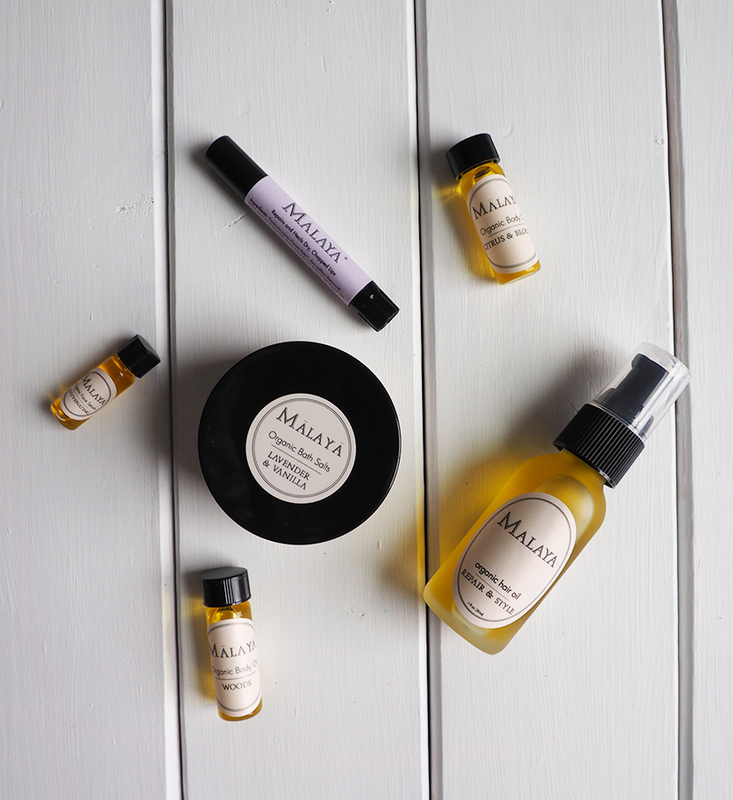 And how much better does it make you feel to know that everything is completely natural and handmade so you know exactly every ingredient you are putting on your skin. Hope you enjoyed this post! It was a little bit different than my normal tutorial post of the week, but I just had to share with you guys these new products!